1. A study of effect of special lecture on awareness related to organ donation among second year undergraduate medical students of a Medical College in a Metropolitan City, Maharashtra. 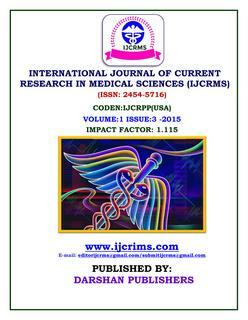 Dr A. Punitha, Dr S.Visweswaran, Dr A. Rajendra kumar, Dr K.Manickavasakam.